For the last couple years, Terrian has been on the road with Tobymac. She joined the Diverse City band in 2017 and toured with Toby on the Hits Deep tour over the past two years. She announced her signing to Toby's label, Gotee, this past Friday, April 12th. 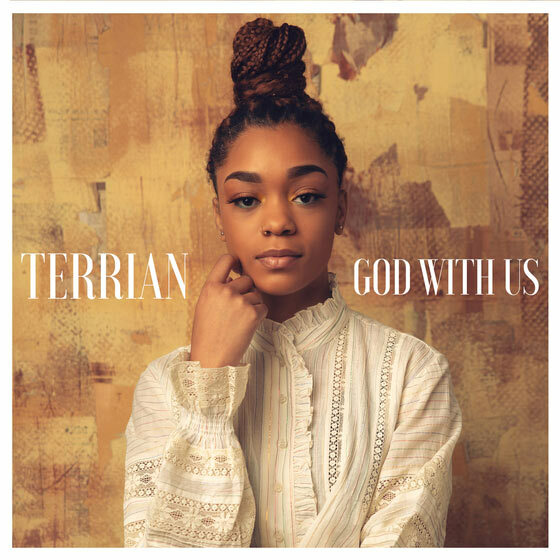 In her press release, Terrian shares: "Looking back over the past two years, I am in awe of all the Lord has done that has led to this moment in my career. When I finally gave up control, He began to manifest opportunities I didn’t even know to ask for in my life. One of those opportunities was joining TobyMac & Diverse City, which has been one of the most incredible experiences of my life. Signing with Gotee was also meant to be - I love Gotee's heart and intention for the artist to be creative and artistically free. 'God With Us' is a declaration of hope and confidence. I typically find myself writing about pain, as I've seen a great deal of it in my life. This song shares that we have all we need to get through this life and pain because all we need is found in Christ - He is with us."